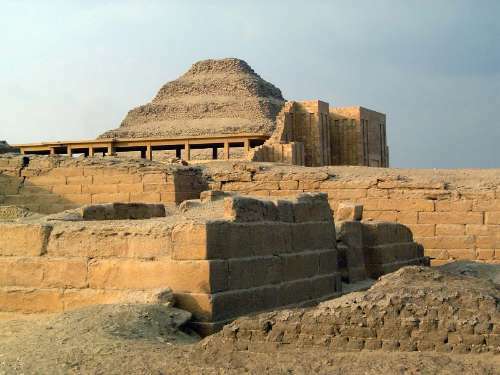 The stepped pyramid of Djoser, at Saqqara, was built about 2650 B.C., only a century or so before the larger ones at Giza. 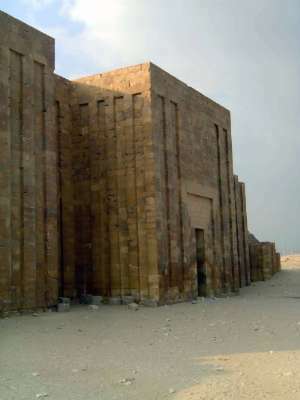 Perhaps its fame should be greater than theirs, because it remains the oldest monumental stone structure in the world. 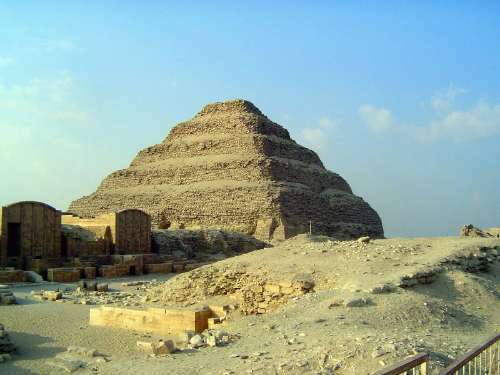 Well over 200 feet high, it rises in seven steps over an underground mastaba, a rectangular flat tomb whose form imitates a mud-brick house. 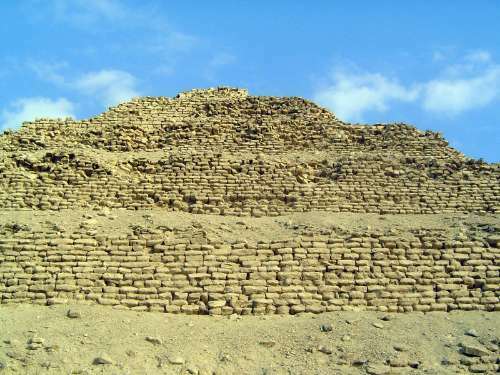 Around the pyramid and within a 1.5-kilometer walled enclosure is a copy of the king's palace at Memphis, but the buildings are solid masonry, without internal rooms. Two are visible here on the left. They line the ceremonial court, and their form imitates tents of the kind used for celebrating the king's jubilee--here continuing for eternity. 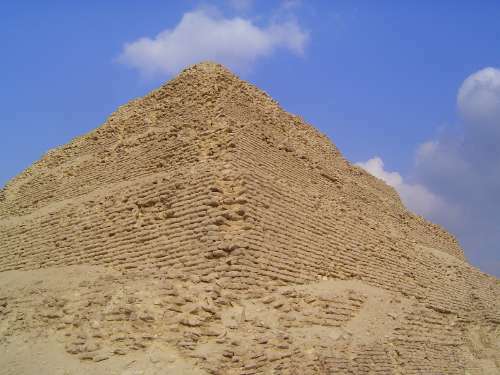 The limestone blocks are much smaller than those used later at Giza and suggest that the builders were used to building with brick. The burial chamber is about 100 feet below the base of the pyramid--or about half the height of the pyramid above ground. The architect, whose name appears on a statue, was Imhotet, whose fame led eventually to deification. The surrounding buildings have been under excavation for decades. The 1.5-kilometer wall enclosing the pysramid has only one gate, here. Inside, there's a hall with columns imitating papyrus bundles. 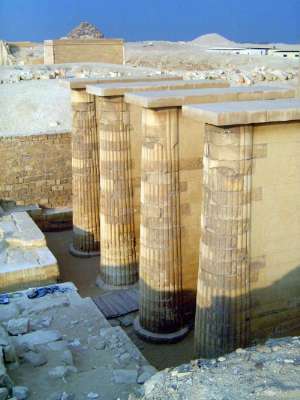 Unable yet to build freestanding columns, the builders here supported the inchoate form with walls.